Kozlovszky, Miklós and Balaskó, Ákos and Süle, Bálint (2010) Numerical modeling of mantle convection in 3D on the SEE-GRID-SCI infrastructure. 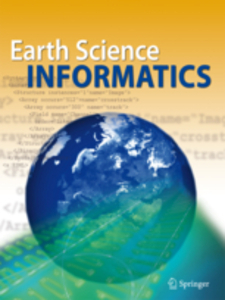 Earth Science Informatics, 3 (4). pp. 229-237. The Numerical Modeling of Mantle Convection (NMMC3D) application is calculating mantle convection models in 3D Cartesian domain. Our main goal is to study the structure and the surface manifestation (topographic and geoid anomalies) of the mantle plumes. The parameter study support tools of the P-GRADE grid Portal give an effective possibility to make an systematic investigation of the parameters influencing the character of mantle plumes. In collaboration with the MTA SZTAKI Application Porting Centre the NMMC3D has been ported to the SEE-GRID-SCI infrastructure. The paper introduces the steps that were taken to enable NMMC3D application on gLite based grid infrastructure and some results of the calculations. The main parameters influencing the mantle convection are the Rayleigh-number and the viscosity distribution of the mantle. This paper focuses the effect of these parameters on the thermal structure and surface manifestations of mantle plumes.